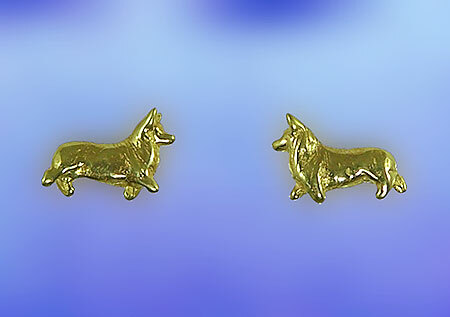 Corgi Earrings, the Gorgeous Horse also has a great line of canine jewelry. Hear are you little friends in mid stride. There is nothing like the smile on a Corgi's face, let these little guys bring a smile to yours. Wear these anywhere. Dimensions: 5/8 inches wide x 1/4 inches tall.